View More In Bearings, Hubs & Springs. 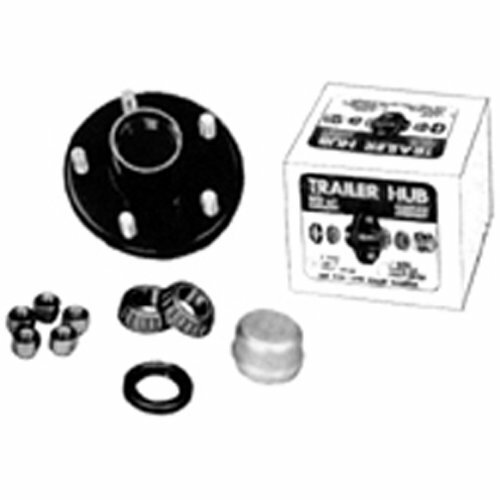 Boat Trailer Hubs - 5 Lug Hub complete replacement cast hubs for 1-1/16" and 1-3/8" taper spindle includes nuts, seals, bearings and cap packaged. If you have any questions about this product by Tie Down Engineering, contact us by completing and submitting the form below. If you are looking for a specif part number, please include it with your message. XiKe 2 Set Trailer Axle Hub Bearings Wheel Kit for Spindle 1-1/16'' or 1.062 Inch, Rotary Quiet High Speed and Durable. L44649/L44610, 12192TB Seal OD 1.980'', Dust Cover and Cotter Pin.